The mission of New Hope Christian Academy & Early Learning Center is to provide a Christ-centered environment, based on the inspired Word of God, where the New Hope family is challenged to strive for personal growth, academic excellence, and spiritual maturity to make disciples. 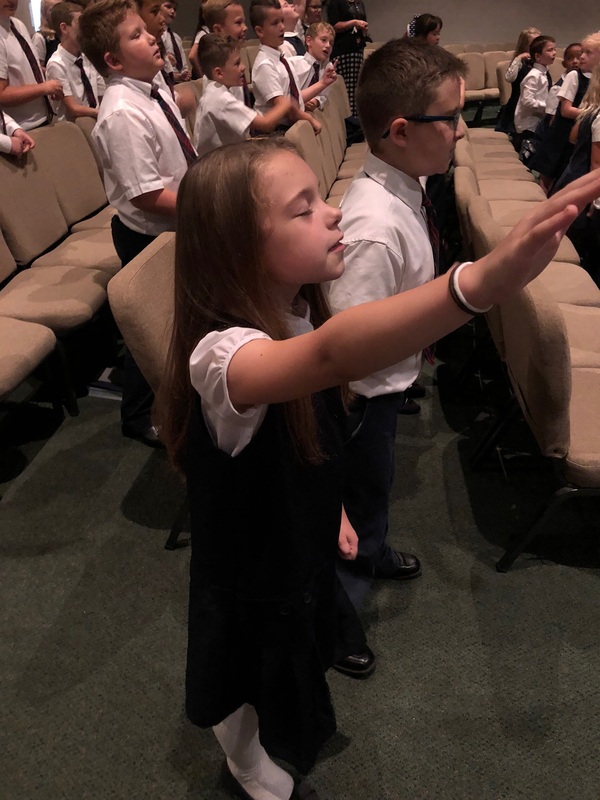 New Hope is a private Christian academy in Circleville, Ohio that operates as a ministry of the Heritage Church of the Nazarene. We began in 1993 and had our first senior class graduate in 2017. LOVE. The love of Christ is the foundation of our school and it compels us to live out and share the Gospel with our students and families. DISCIPLE. Intentional discipleship is a core focus for our Early Learning Center students - 12th grade. New Hope teaches our students to DENY self, KNOW God, GROW in Christ, and GO and make disciples. EDUCATE. New Hope provides excellent and innovative curriculum and instruction. We have high expectations for staff and students and promote a culture of collaboration and accountability. PREPARE. We help prepare our students to achieve their goals in the next seasons of their lives. Our desire is to help them discover their role as an active Ambassador for Christ who understands the importance of being a part of a unified and authentic community. Additional fees at New Hope Christian Academy in excess of the amount of the face value of the certificate are the responsibility of the purchaser. This includes application fees, books, uniforms, etc. Tuition certificates are limited to new students only. Students previously enrolled, already registered, or who have started the application process for the 2019-2020 school year are not eligible. Students must meet the school's entrance requirements. If a student is unable to meet the requirements, Salem Media Group Columbus will provide a full refund. Still have questions? Call Armat Woode at 614-216-5049 for more information! Click the button below to add the K-5 Tuition for 2019-2020 to your wish list.